Invigorate your wardrobe by getting creative with layers and accessories you already have. 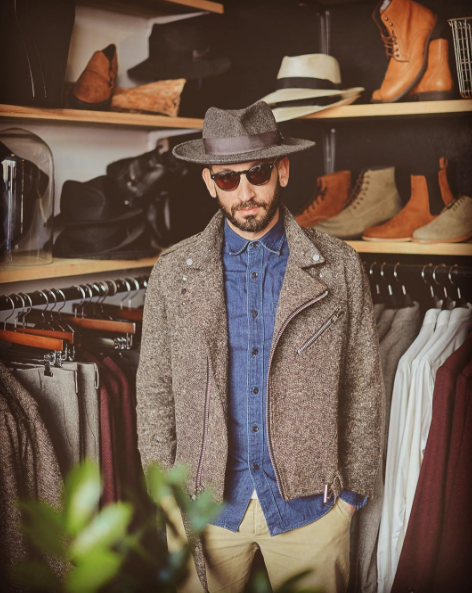 Check out our 1 Top - 6 Ways post for ideas on how to transition an outfit to suit every occasion. 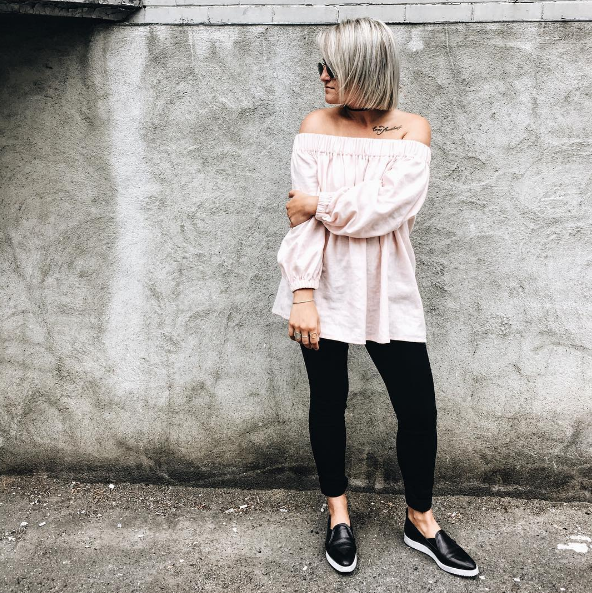 Search Pinterest for outfit inspiration by typing the description of a piece you have that you're looking to work with (i.e. "coral pants", "white collared shirt", "black t shirt"). 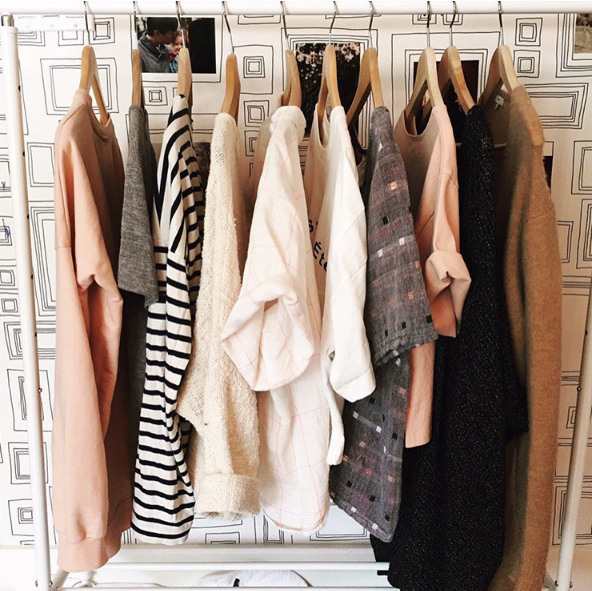 We've often found we are surprised by the possible outfit combinations in our wardrobe we hadn't thought of before! Did you know that extending the life of a garment by 9 months instead of throwing it away and buying something new actually significantly decreases your environmental impact? This is why considering repurposing is so important! Your local tailor will most likely be able to alter a piece you love to suit any style, size or function you have in mind! Modify a long skirt to suit a length or trend that's more appealing to you, alter a blazer for a more modern fit or hem those too-long jeans so you can finally start wearing them! A search for "sewing and alterations" on Yelp will help you find a local, well-loved spot to repurpose your clothing. Looking for recommendations in Calgary? Two of our favourites are Gangnam Style Alterations for clothing and Gubans Shoe Clinic for shoe & leather repair. This one speaks for itself! If you want something new, but don't absolutely need it, borrow from a friend and have some fun with a new piece without committing to another purchase. We've found hosting clothing swaps to be quite successful in updating our wardrobes, giving new life to clothes we don't wear anymore and getting our friends on board with a more "ethical" wardrobe. Swaps are super easy to organize and can be as basic or elaborate as you feel like. Read how we organized our very first clothing swap and stay tuned for details on our most recent swap event! Follow your favourite thrift or consignment stores on Instagram or Facebook for updates on their sales and new, exciting items. When in need of a specific item, check out a few second-hand stores before you buy new. If you find what you're looking for, you will have likely saved money while also re-purposing a gently used garment that might have otherwise ended up in a landfill. Keep any eye out for brands that manufacture locally and/or are obviously transparent on their website. If you're not sure if a brand is producing ethically, send them an email! If they can't or won't answer your questions, that is a big red flag. 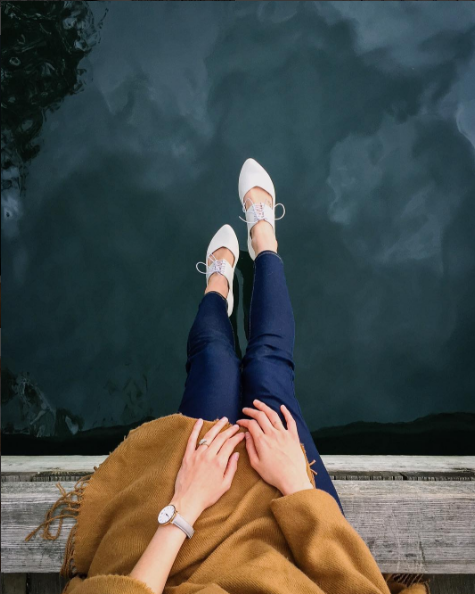 Check out our Finding the Story Behind Your Clothes post to find out more about brands you love or visit our always growing list of Brands We Love for our favourite ethical options. Explore your city! Spending time at local markets is our favourite way to discover new brands or makers while also getting hands on experience with their product. Meeting the maker of a product you love is a crazy amazing experience that helps keep us motivated to look locally for clothing and gifts. Two of our Calgary favourites are Market Collective and Little Modern Market. Etsy is an excellent place to search for a specific item or to simply browse what's out there. We love that you can refine your search from "anywhere" to a specific country. Refining even further to "handmade" helps to ensure you are truly getting a local, handcrafted item. We often use Etsy to find unique personalized gifts for our loved ones. Keep a list of items you think you might want to add to your wardrobe. Review the list every few weeks and remove items you forgot about or don't need anymore. We like to keep this list on our phone so it's readily available. Shopping less is a crucial aspect of shifting to ethical shopping patterns. Shopping less means being critical about each purchase. Ask yourself, "is this a want, or a need?". Visit our 7 Questions to Ask Before You Buy post for questions to help you become a more conscious shopper. We've found that although 'ethical' pieces may cost more than we are used to, over time we spend less because when we buy high-quality,versatile items that last considerably longer than our 'fast fashion' items. 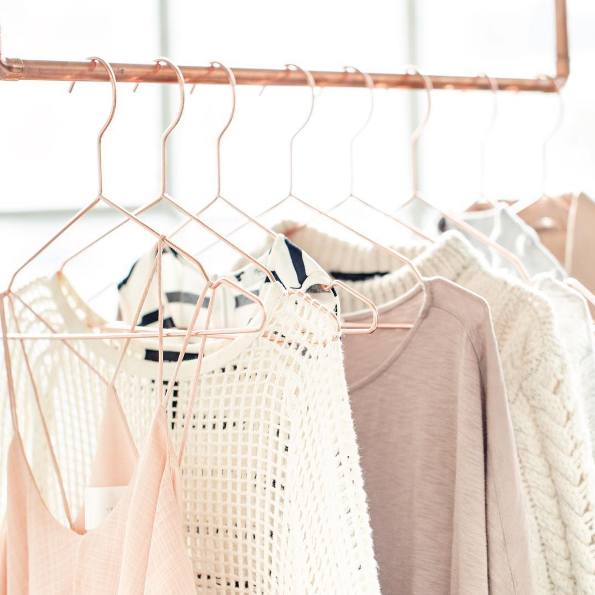 Buying items in neutral colours to ensure they outlast seasons and trends. Inviting a few like-minded friends to purchase from an ethical online shop with you, so you can all split the shipping cost. Subscribing to a brand's email list for updates on sales. (Avoid going subscribe-crazy with this one!) Even ethical brands send a lot of emails to entice you to buy - whether there is a sale or not. Subscribe only to brands you absolutely love or unsubscribe once you've either purchased the piece you were eyeing or no longer need it. You can also use Unroll to combine all of your subscription emails into one message each day. Bookmarking items and brands you like so you can go back and check them out on Black Friday and Boxing day. This is a seriously great option to plan for. We were surprised to find that most of our favourite ethical brands had big discounts for Black Friday or Boxing Day last year. We vowed that we would hold off on a lot of our shopping, strategize items we want to add to our wardrobe, and save up to take advantage of the sales this year. When shopping ethically feels like a drag, inspire yourself with the many documentaries, articles, books, podcasts and bloggers out there that remind us why the commitment to becoming a conscious consumer is so important! What are some of the ways you've embraced ethical fashion? Do you still have lingering questions about conscious consumption? We'd love to talk about 'em with you! Comment below or email us at mynewneighbour@gmail.com!